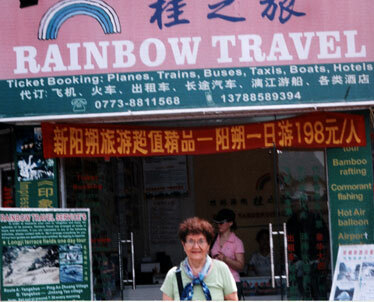 May Oshiro traveled to China with the Elderhostel group and stopped to pose in front of this travel agency in Yanhshuo town. 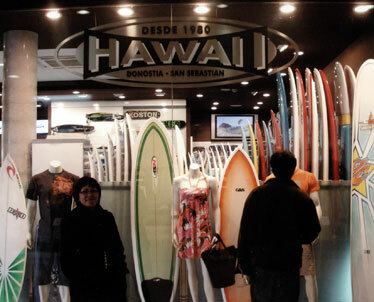 Roeana Alexander discovered this surf shop in the town of San Sebastian, in the northeastern corner of Spain. 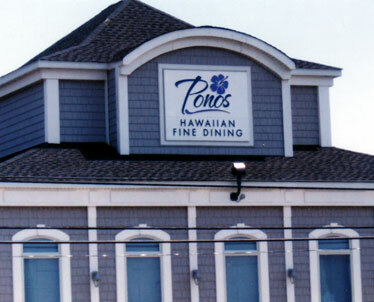 Eugene J. Chap, M.D., dined at Pono's, a fine-dining restaurant Dewey Beach, Del.